We recently told you about Nashville Predators backup goalie Chris Mason’s new Iron Maiden-themed mask he’ll be using for the upcoming 2012-2013 NHL season – see it here. 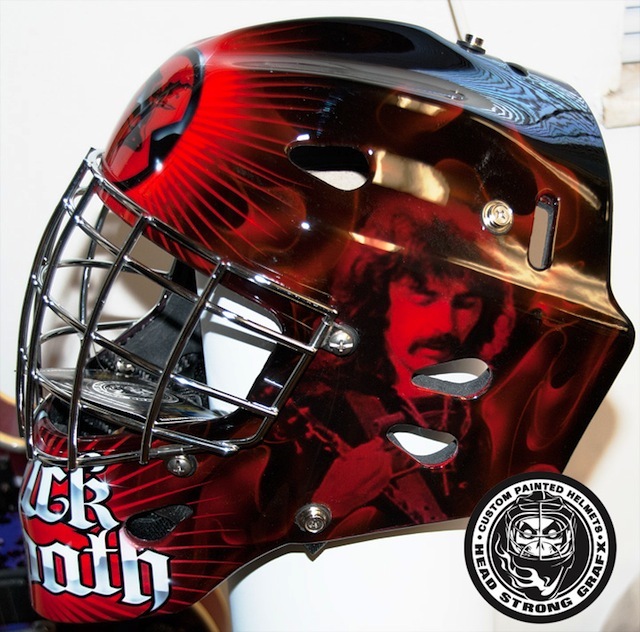 Now, a Black Sabbath goalie mask has surfaced. InGoal Magazine reports Massachusetts recreational hockey goaltender Liz Conner has had a Sabbath-themed mask created by Headstrong Grafx. See more photos at InGoal Magazine here.